TriBeta is a society for students, dedicated to improving the understanding and appreciation of biological study and extending boundaries of human knowledge through scientific research. Since its founding in 1922, more than 200,000 persons have been accepted into lifetime membership, and more than 553 chapters have been established throughout the United States and Puerto Rico. 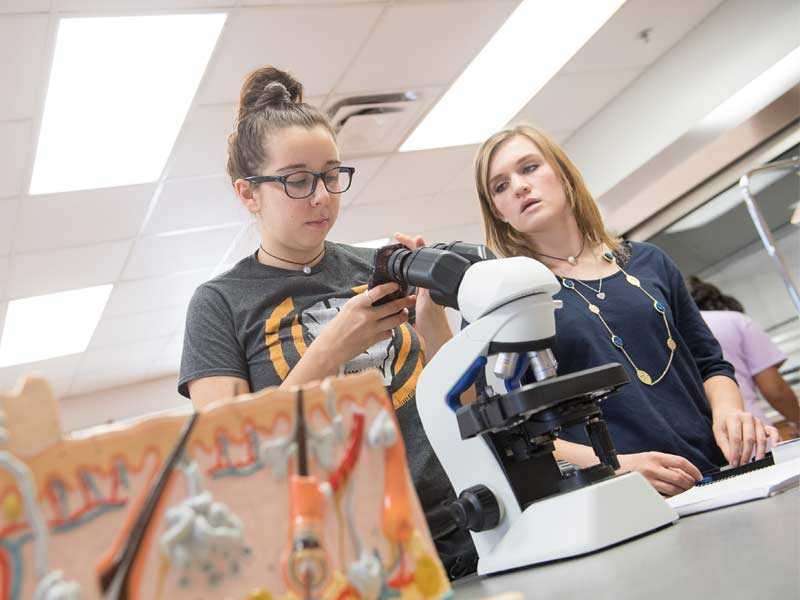 The Biological Honor Society was first chartered at UMHB in 2005 through the efforts of Dr. Cat Early with the ultimate goal of applying for membership with Beta Beta Beta (TriBeta), a National Biological Honor Society. Their purpose was to function as a society for students with an interest in the biological sciences, with activities designed to stimulate interest, scholarly attainment, and investigation in the biological sciences, and to promote the dissemination of information and new interpretations among students of the life sciences. Fifteen members of the UMHB Biological Honor Society were inducted into the National TriBeta Honor Society as charter members of the Mu Eta Beta Chapter of UMHB during a ceremony on March 24, 2011.